We have been involved with breeding and showing since we got our first Chin in 1999. 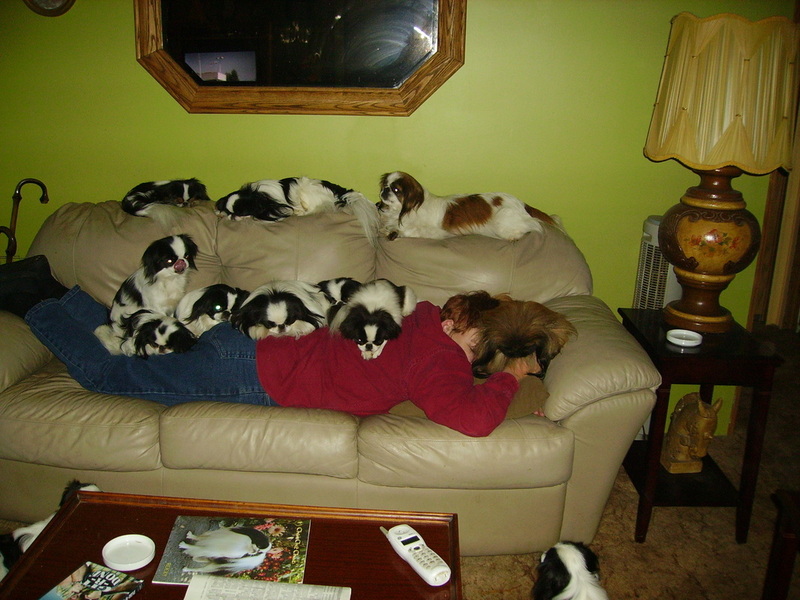 All of our dogs, puppies and adults, live in the house as our pets. We believe that this is best, as they were bred to be a companion dog and need to be in your company. As we usually breed only once or twice a year, we will occasionally have puppies available. Showing dogs has been a true joy! As time has gone by I have also shown other breeds for other people, as you will see. The friendships and comraderie built are something we would never give up. It has been a true learning experience. We are members in good standing of the Japanese Chin Club of America, and the AKC, and support the Japanese Chin Rescue group. We truely enjoy our dogs and like to share them with others. So, look around and feel free to contact us with any questions you may have. Thank you for visiting!